John V. Rindlaub has served on NBR’s Board of Directors since 1995. Mr. Rindlaub is Senior Managing Director Head of Pacific Northwest Market at East West Bank. Prior to this Mr. Rindlaub was an executive vice president and Regional President for the Wells Fargo business in the Asia Pacific Region. Based in Hong Kong, his responsibilities included ensuring enterprise-wide consistency and effectiveness in the governance framework and Asian platform for Wells Fargo’s non-United States and cross-border activities in regard to customer activities, product capabilities, and overall market leadership. The Asia Pacific Region includes 14 countries, served by seven branches, and eight representative offices with over 1,500 team members in the APAC Region that were under his leadership. Previously, he served as CEO for Wells Fargo’s Commercial Banking activities in Washington, Oregon, Idaho, and Western Canada. Mr. Rindlaub joined Wells Fargo in the Pacific Northwest Commercial Banking role in 2002. Mr. Rindlaub retired from Bank of America at year-end 2001 after serving in senior positions with the company’s Commercial Bank division. As president of Bank of America Northwest, he oversaw all activities in Washington, Oregon, and Idaho. In 1997, he was given responsibility for Worldwide Technology Strategy for Bank of America’s retail and commercial activities. As group head of Bank of America’s Asia Division, headquartered in Hong Kong, he managed the bank’s retail and wholesale business in Asia from 1989–1993. He moved to Seattle in 1993 to assume the position of chair and chief executive officer of Seafirst Bank, a Bank of America subsidiary. Mr. Rindlaub began his banking career with Bankers Trust in 1969, and had division-level responsibilities in New York and Tokyo, as well as serving as managing director of the bank’s Mergers and Acquisitions Financial Institutions team through 1989. He has a bachelor’s degree in economics from Bucknell University in Lewisburg, Pa. He served as an officer in the U.S. Navy (1966–1969), retiring as a lieutenant after assignments on the East Coast and Vietnam. Mr. Rindlaub is a director of The National Bureau of Asian Research where he serves as Vice Chair and Treasurer. 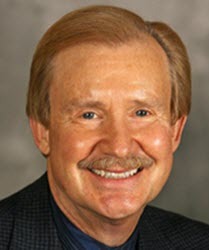 He is a past chair of the Greater Seattle Chamber of Commerce, the Washington Roundtable, Childrens Hospital Foundation and served on the University of Washington, Washington State University, and Seattle University Business School Advisory Boards. He is also a past director of the 12th District Federal Reserve Bank of San Francisco, the Alaska Air Group and Atigeo LLC.